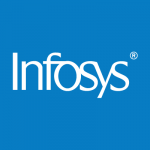 Infosys BPM, the business process outsourcing subsidiary of Infosys (NYSE: INFY), is an end-to-end outsourcing services provider. Infosys BPM addresses your business challenges and unlocks business value by applying proven process methodologies with integrated IT and business process outsourcing solutions. The company applies business excellence frameworks to significantly reduce costs, enhance effectiveness, and optimize business processes. BBA, MBA, B.com, M.com, BA, MA, BMS, BHM, B.Sc., M.Sc. Graduates are eligible. Any Non-IT, IT graduates or Post Graduates. Flexible to work in 24 x7 environments. Technically appropriate communication skills, clear understanding of all processes. Strong listening skills, including being able to listen effectively and understand customer issues. Being proactive and show the utmost respect for customer’s time. Good time management, ensuring all contacts with customers add value. 10Th, 12Th, Graduation and Post-Graduation (Mark Sheet and Certificate). Provisional Degree Certificate.